After being involved in an accident, you may be wondering if there will be any money left over for you personally after your claim is settled. The answer to that question is, “Yes”. At our firm, we do not settle a case unless the client gives us their consent. We are very clear about how much your claim is settling for. We also detail how much the attorney’s fees will be, the cost of medical bills to be paid, and the other fees associated with the claim. Given this information, which we present to you in a clear manner, you will know exactly how much money is coming to you if and when you choose to settle. If you have additional questions regarding settling a claim and how much money you expect to receive from your case, I want you to call me at (559) 436-0850. I welcome your call. 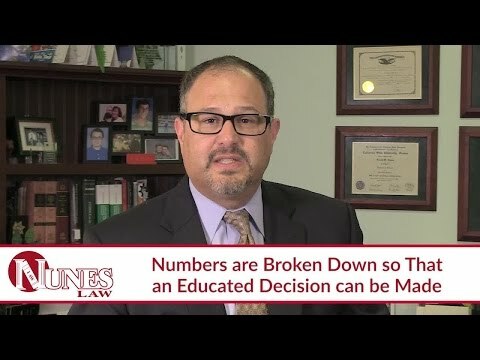 Visit our educational website at https://www.nuneslaw.com for more videos and media content from our law firm.